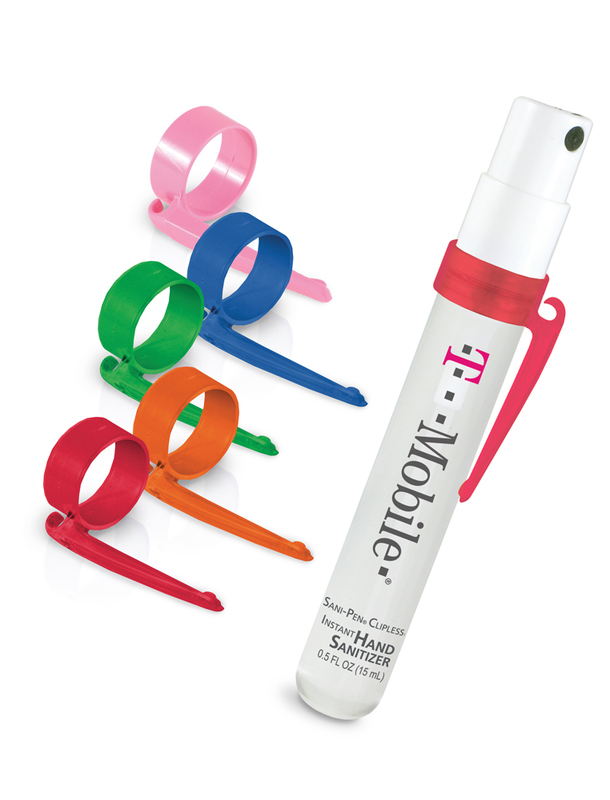 The patented Combo-Clip™ lets you clip it in a pocket or purse, or hang it from a lanyard, carabiner, key ring, etc. Attaches to Sani-Pen and Pocket Pump products. Available in red, pink, blue, orange, and green.